Before I get into this long long post, I want to mention the existence of my Facebook page. There, I make smaller posts on more incremental work (which is where I've been more recently). 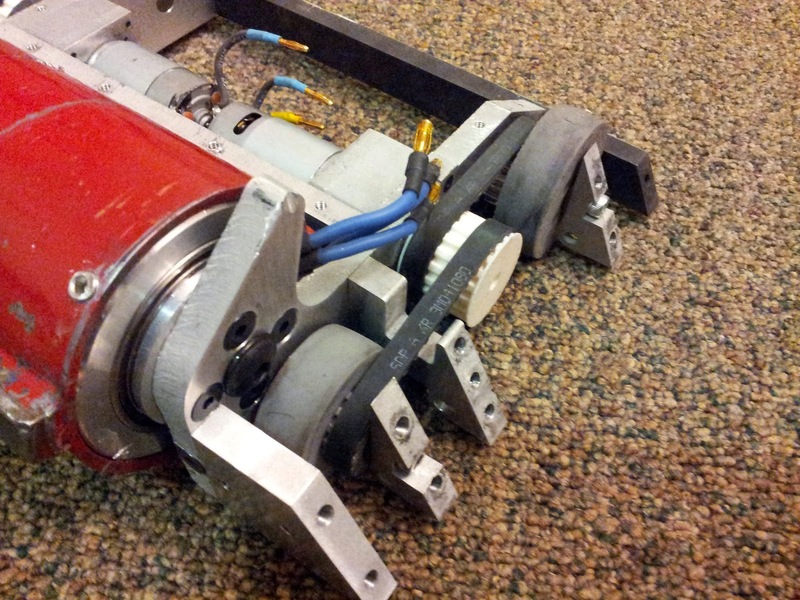 Long long ago, I built a hobbyweight with the help of fellow bot people like Brian Schwartz and Casey Kuhns. This was back in 2008 which for me was high school and my resources were limited so I would like to take yet another moment to thank those mentioned above. However, I did not blog about it because my blog did not yet exist. 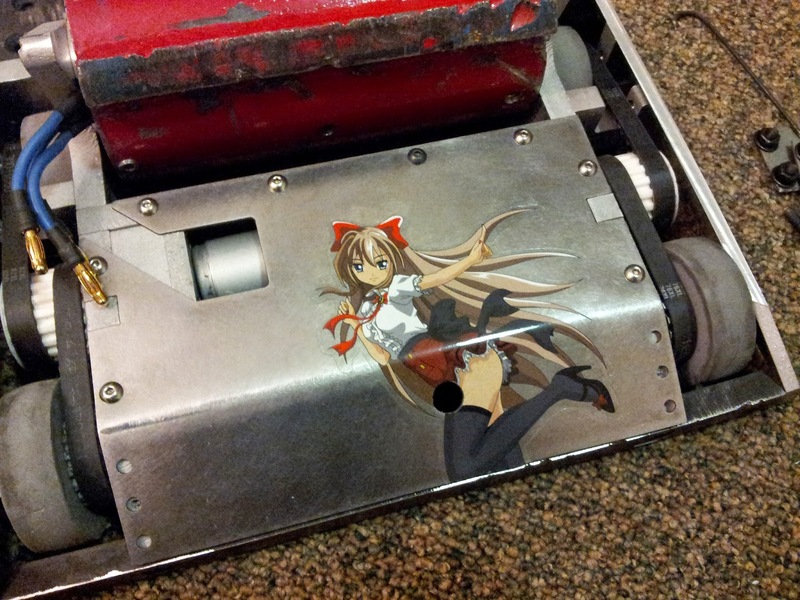 Later versions of the robot were also gone unmentioned (such as my Motorama '13 and Motorama '14 posts). 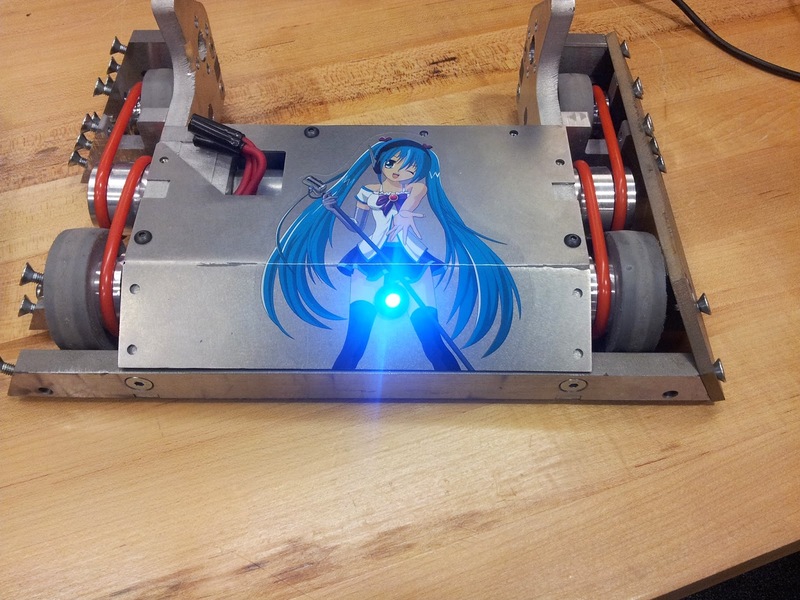 I find it now necessary to log the development of this power-dense combat robot. This robot was a drum spinner (as was the flavor of the month) and was a wonderful blend of scavenged robot parts. It used a set of 5:1 'mabuchi' gearmotors I scored from ebay, a set of BB 12-45 escs I bought off a leaving bot member, and batteries given for doing a favor for another bot member. 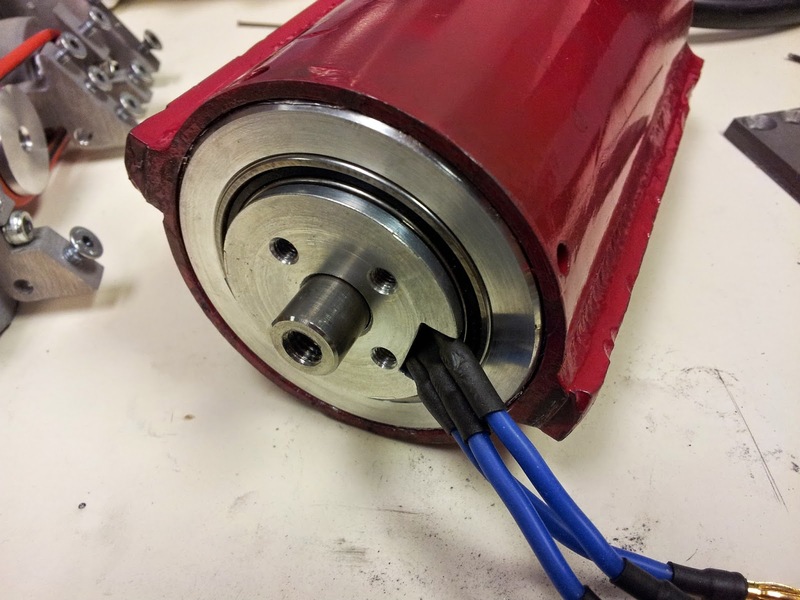 I bought a 40 mm copier stator to wind the brushless motor and had machining help as mentioned above. 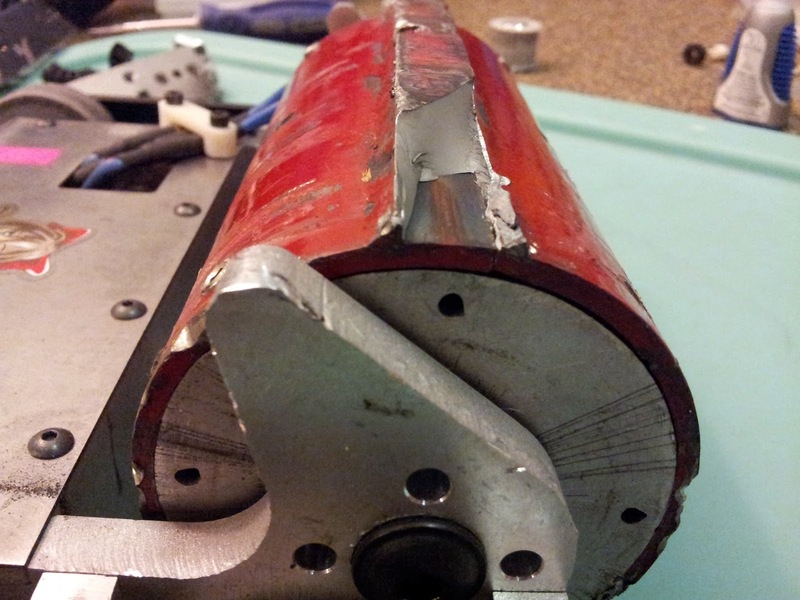 Furthermore, I had machining services donated by local companies to make my drum, an odd combination of 4130 for the drum body and A2 tool steel. 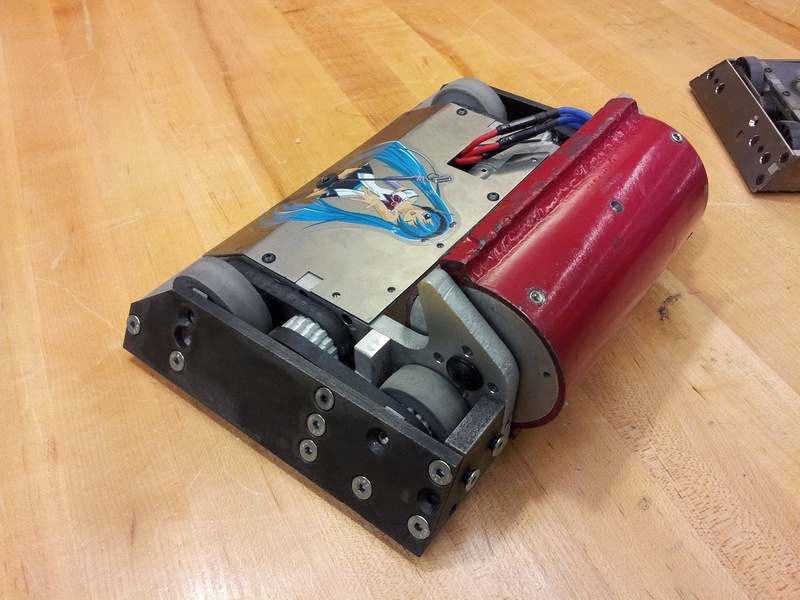 Either way, this was my first big bot I made and it debut at Motorama 2008 where it went 3 wins and 2 losses to Igoo and Surgical Strike. By now I was in college at Georgia Tech. My activities at local events and Dragon Con had interested enough friends to justify the "Georgia Tech Fleet" to drive from Atlanta to Harrisburg for Motorama 2013. I dug Attrition out from storage and decided now was time to address its shortcomings. I started from scratch. Time to apply new knowledge on mechanical design, materials, and even 3D modeling (since by then I had my SolidWorks professional certification). We would decrease the footprint to save weight and increase the durability of outer armor. For the same goal, we would also downgrade the weapon assembly. The gearmotors would have to go; Instead I picked up four higher reduction planetary units with 'long can 400' motors attached. This new version went by many names such as Tofu or War Machine but decided to keep it as Attrition to indicate its lineage. This number was good according to my calculations should yield ~10 mph with my long can 400 motors. To make everything compact, the keyword was 'integration'. 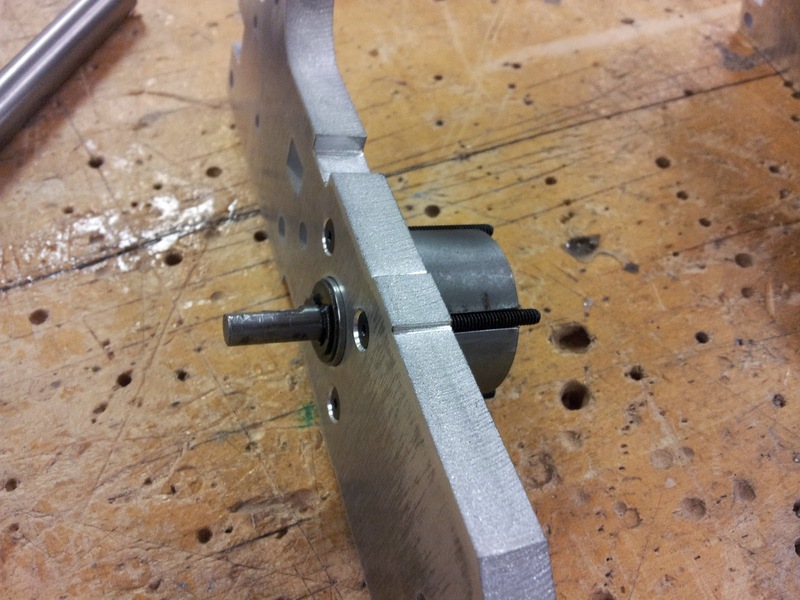 I built the gearboxes into the frame rails to save space. The electronics were repackaged into a small cube to reduce wire space needed. I was able to find the perfect battery to sneak into the remaining space. Drive test showed the robot was fairly nimble. 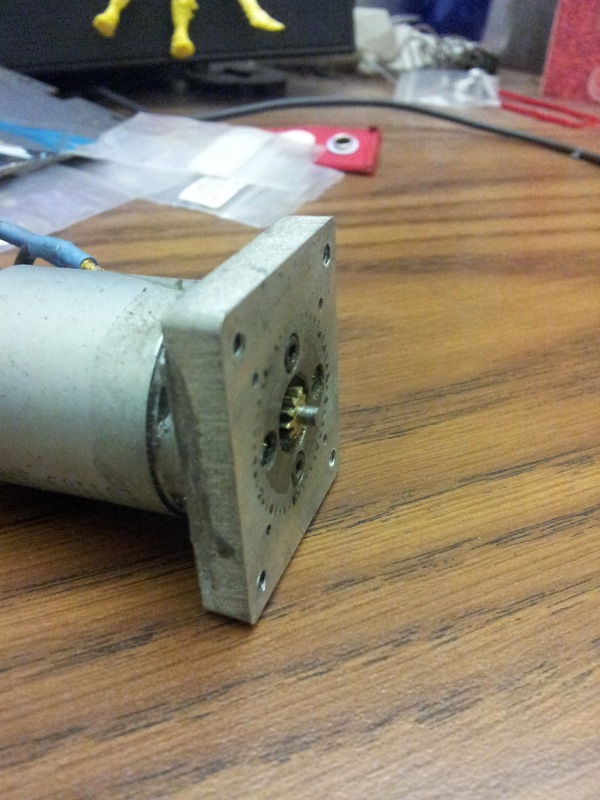 I dont remember if I had switched to Banebots RS395 motors yet or not. Either way this video showed that I could not use round belts like I usually favor. On high acceleration moves like direction changes, the belts would slip. This made driving with the drum impossible as I later discovered. 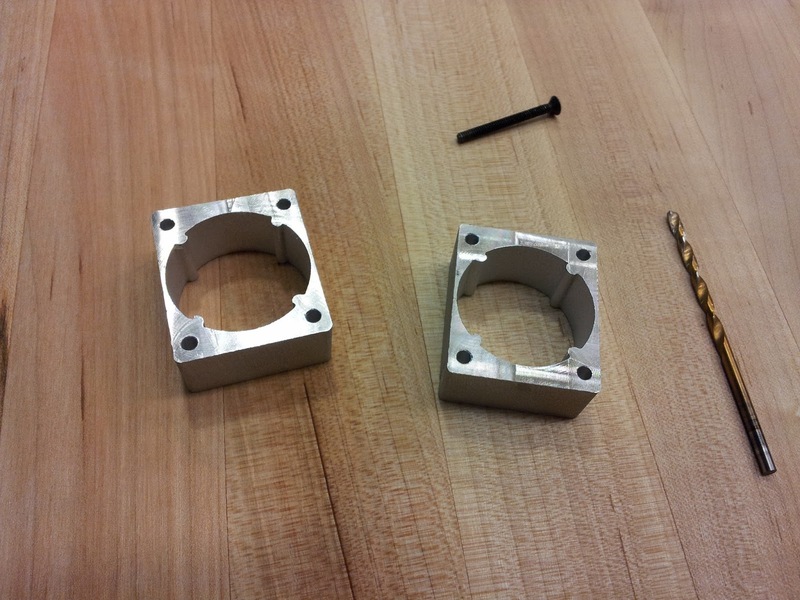 Later i switched to waterjet machined XL timing pulleys. The drum was simple; I cut the original drum from Attrition reducing its length from 8" to 5.625". The motor was a bit more challenging. To simplify the design I kept the esc out of the drum. This was a decision made based on 'Cake's matches where the drum would break free and eat its signal or power wires. I also decided to not route wires inside the shaft. 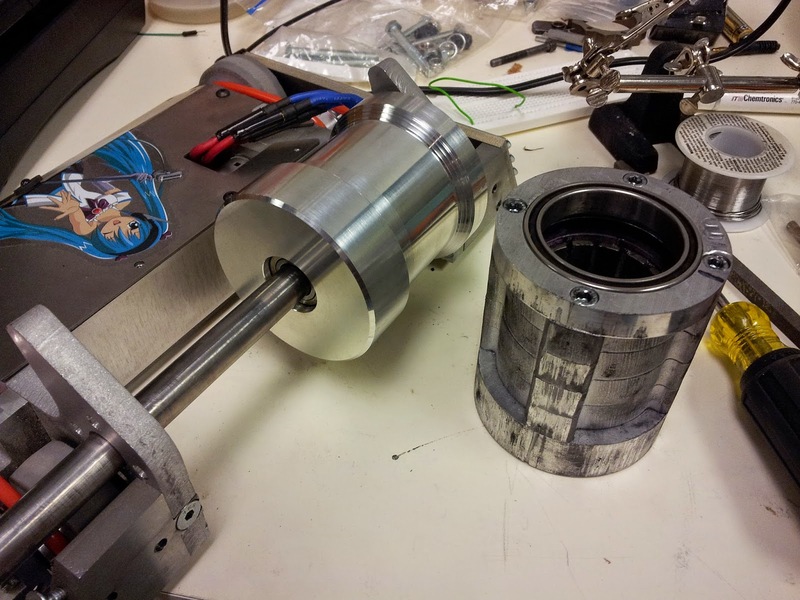 This was so I could preload the inner race bearing assemblies in the shaft for higher rigidity and high frequency performance. 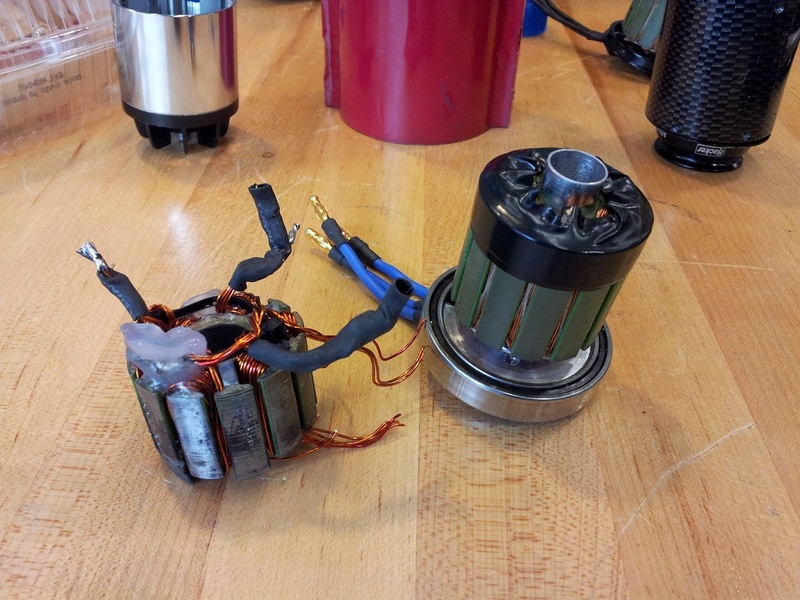 As such, the wires would exit with a new concept I had involving a large ring bearing on the motor side. 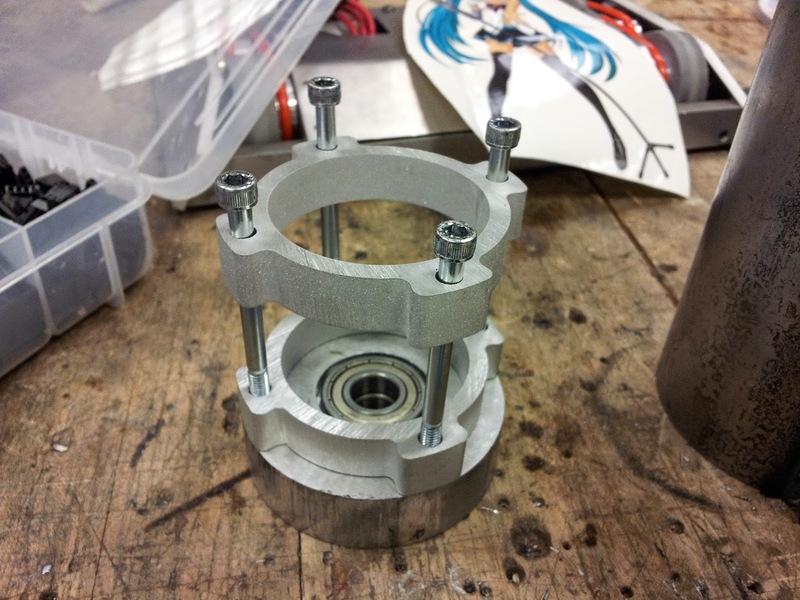 The original concept was to build the internals from several stacks of waterjet material. 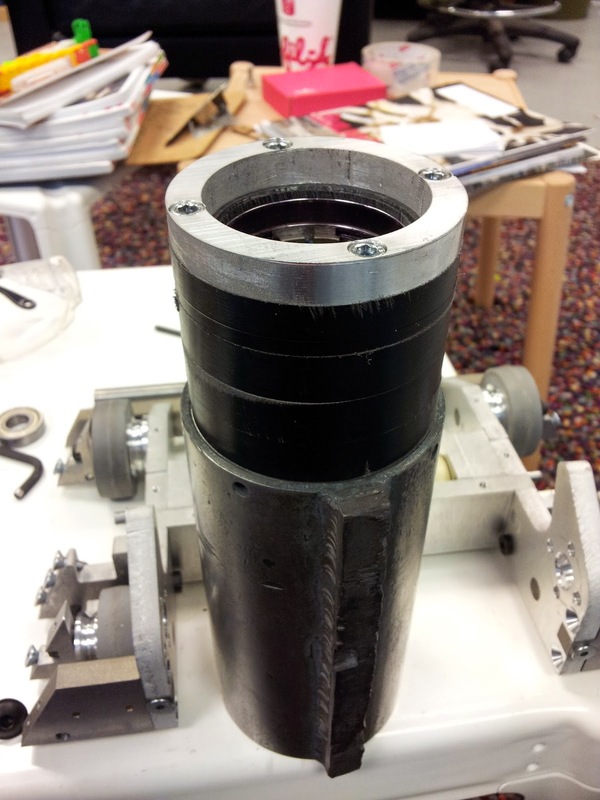 However the drum was a bit warped so any precision machined parts would not readily fit inside. 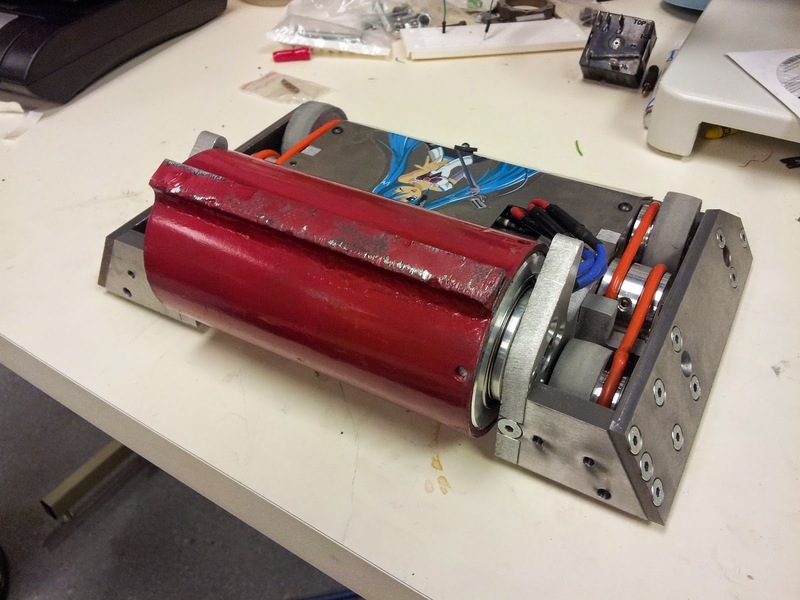 I ended up wrecking a motor in an initial test and remachined the entire assembly from a single round of aluminum. Some fully assembled pictures. This version debut at Motorama 2013 where it faced a number of tough opponents including Zandor and the undefeated multi-time champion Cataclysm who won 2nd and 1st respectively. Attrition went 3 wins and 2 losses for 3rd place, going undefeated for 3 matches until he met Cataclysm on Sunday. Somehow, Attrition came out in good shape. 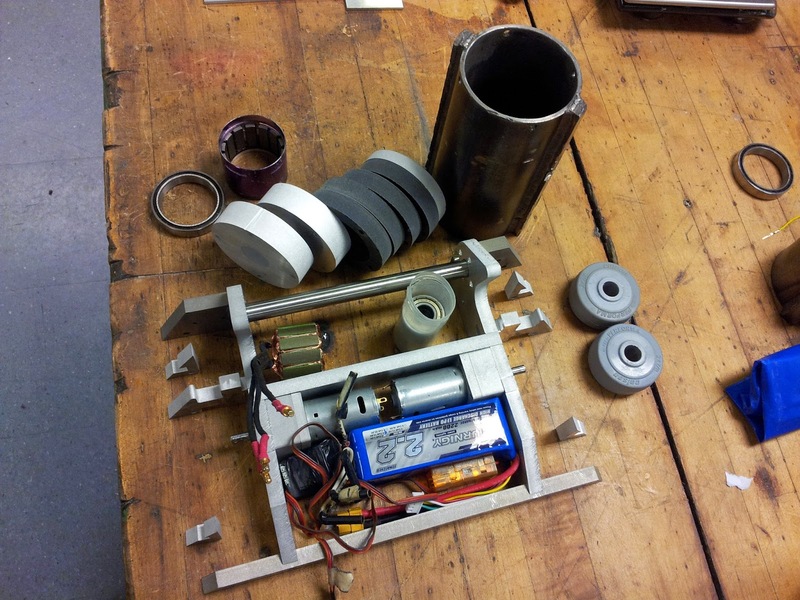 Aside from blemishes on the top and bottom plates, the majority components including the drum were fully operational. The source of my demise was actually lack of spares. After my match with Zandor in the quarter-finals, I was down one drive motor and went into the Semi-finals against cataclysm with only one drive side. This put me at a huge disadvantage and lost decisively. Shortly after, I lost the losers bracket finals to Zandor because of my lack of drive side. 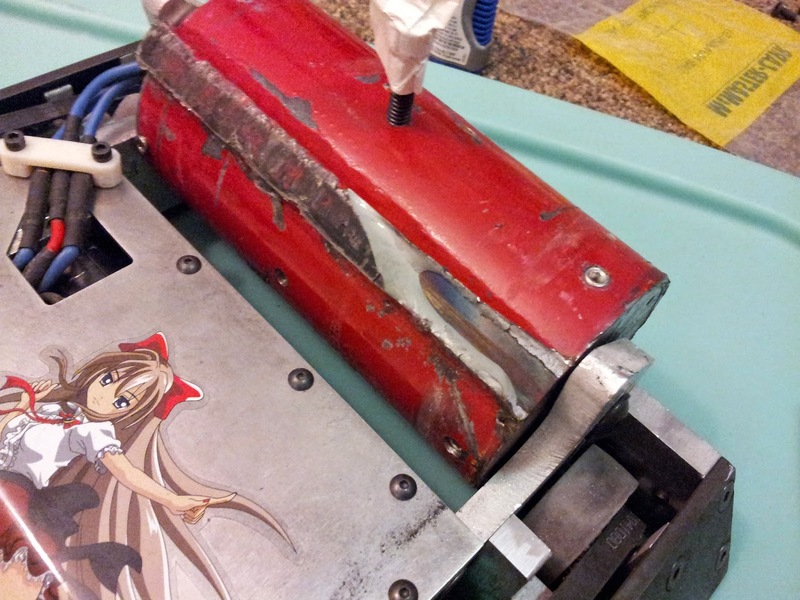 Originally the culprit was a broken magnet. The replacement given by another builder ended up failing also because of pinion slip. Losses at Motorama 2013 were disappointing to say the least. 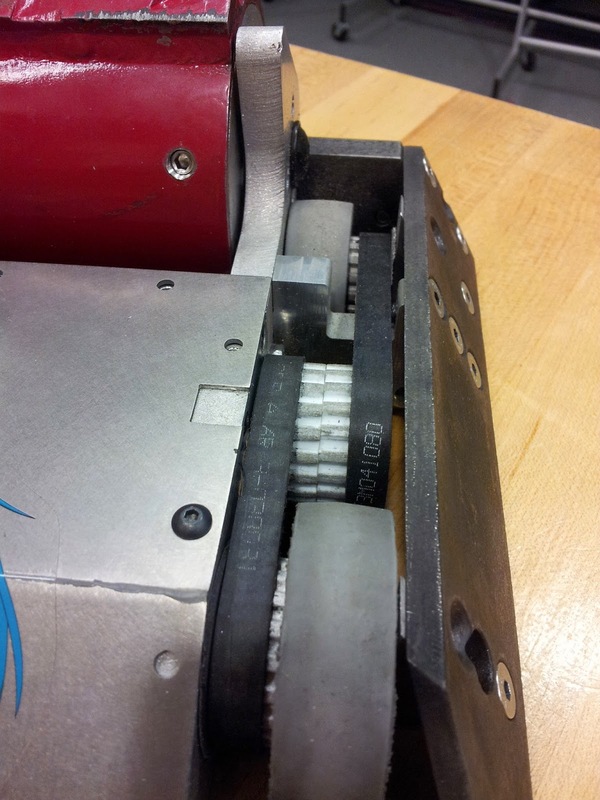 This year's emphasis would be into the drivetrain. I wanted faster and more reliable. Now at MIT, I lost a valuable resource at the Georgia Tech Invention Studio. However my research afforded me new capabilities I would try and leverage when possible. In addition to remaking many outer armor plates, I also swapped the Banebots RS395 motors for the original long can 400 motors and remade the center timing pulleys from 3D printed material. I believed that high starting torque was the culprit for pinion slipping. Another decal with lewd LED placement was needed. As fate would have it, I was wrong. 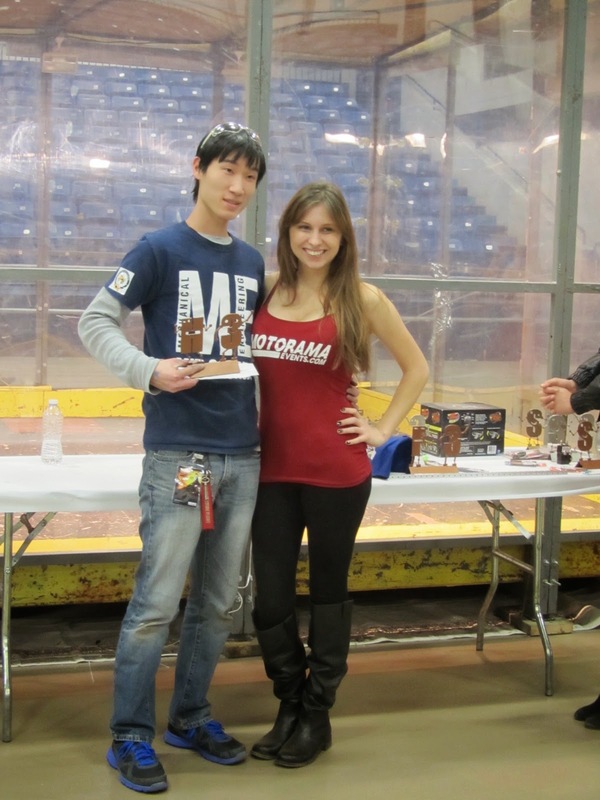 At Motorama 2014, Attrition went 3 wins and 1 loss in a round robin format for 2nd place. Agility was useful in my first match against the pneumatic flipper Jumbonator but I lost a drive side again after a win on Upchuck. This was a fatal blow against the strong drive of Isotelus Rex as I could not maneuver for a good hit. 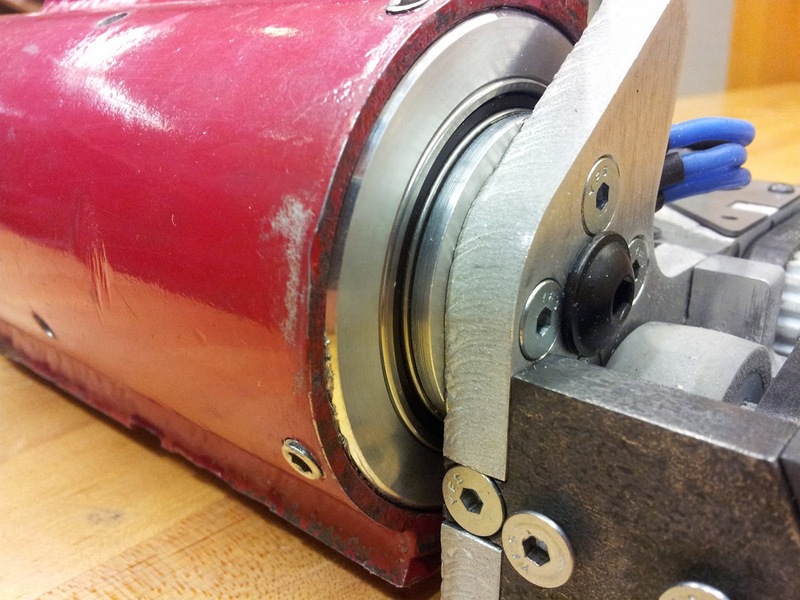 The FDM material actually split and rendered the center pulley useless. 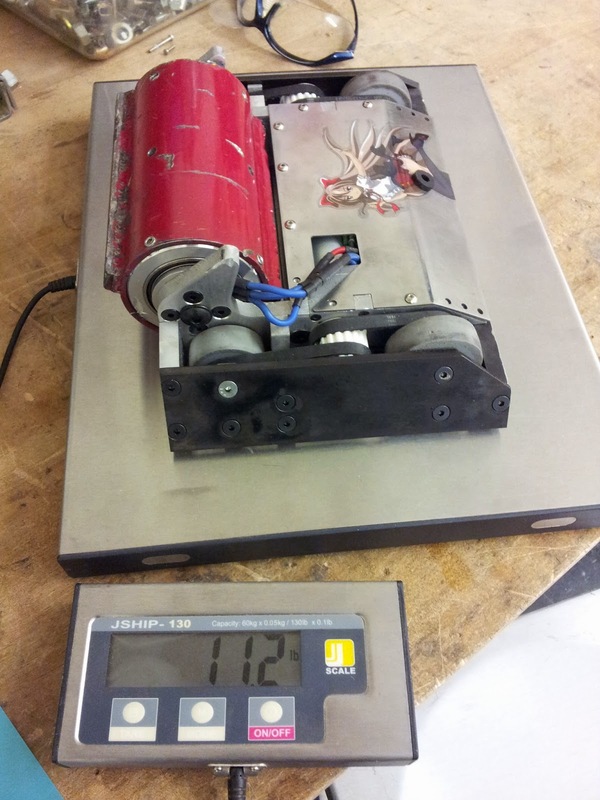 This was from the high stress concentrations near the 6mm drive shaft to the ~25mm center pulley. 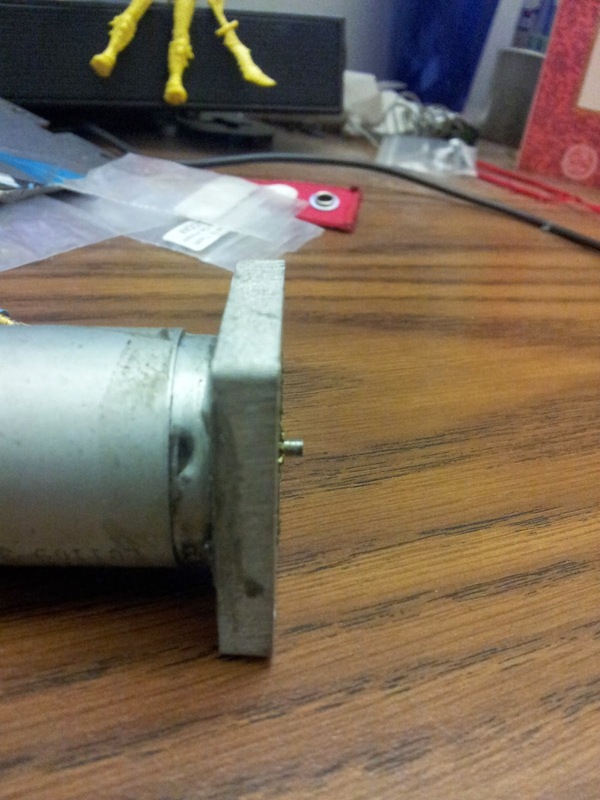 This could easily be fixed with a larger diameter intermediate made of metal. However, another defect surfaced that I had not predicted. 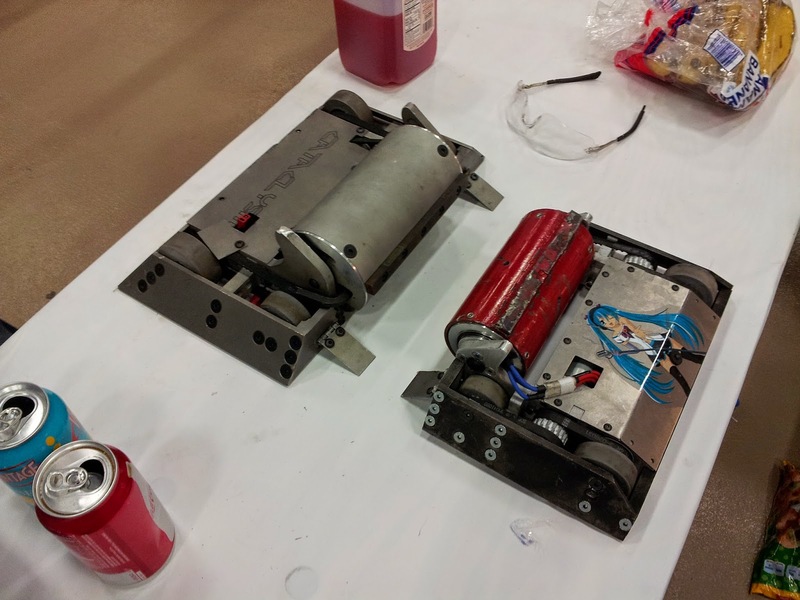 The A2 teeth, after years of battle, finally broke during the match against Isotelus. I suspect this was due to fatigue as nothing on Isotelus could have done that. However I note that points were given to him for 'damage' to my robot as the judges pointed out when Attrition had finally spun down after the match. 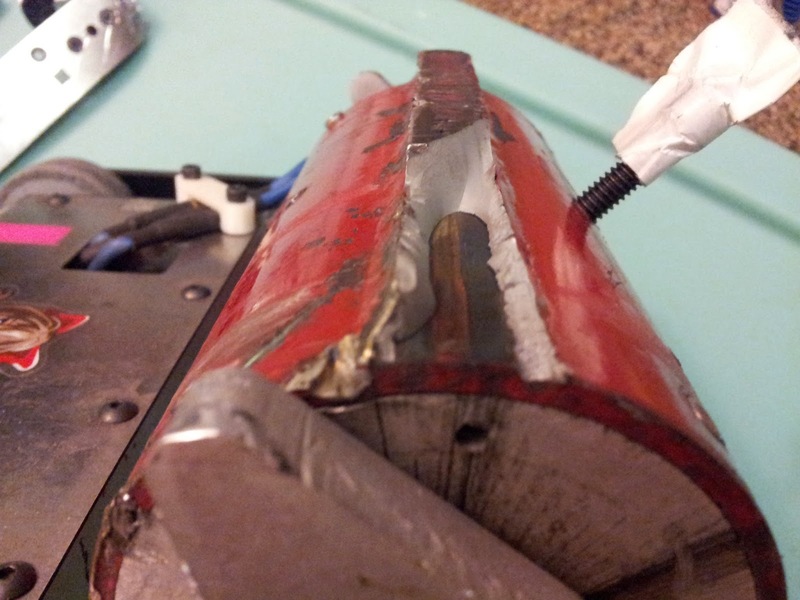 Closer inspection of the welds show little to no penetration into the wall; it was no wonder they had broken. No place in 2008. 3rd place in 2013. 2nd place in 2014. This year we pull out all the stops. At Motorama 2015 we will go for the prize! 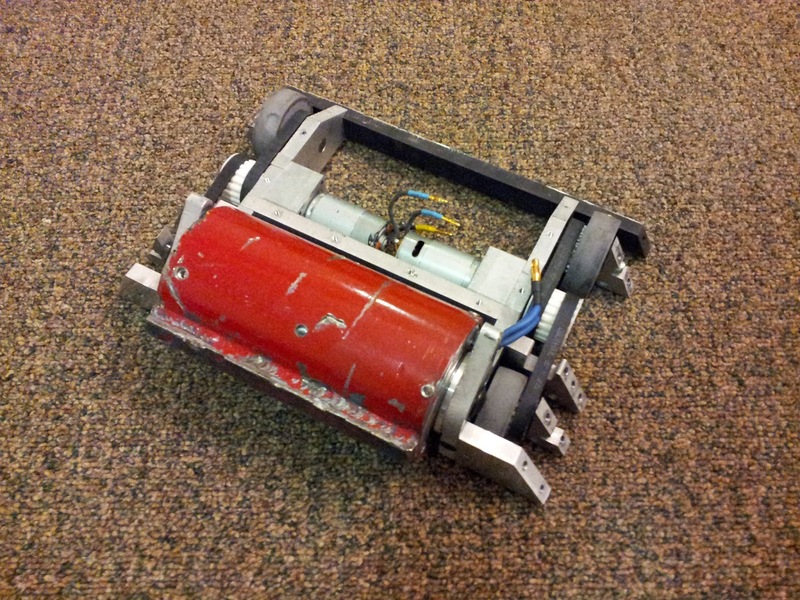 I here conclude this post as a documentation of my first 12-pound combat robot. 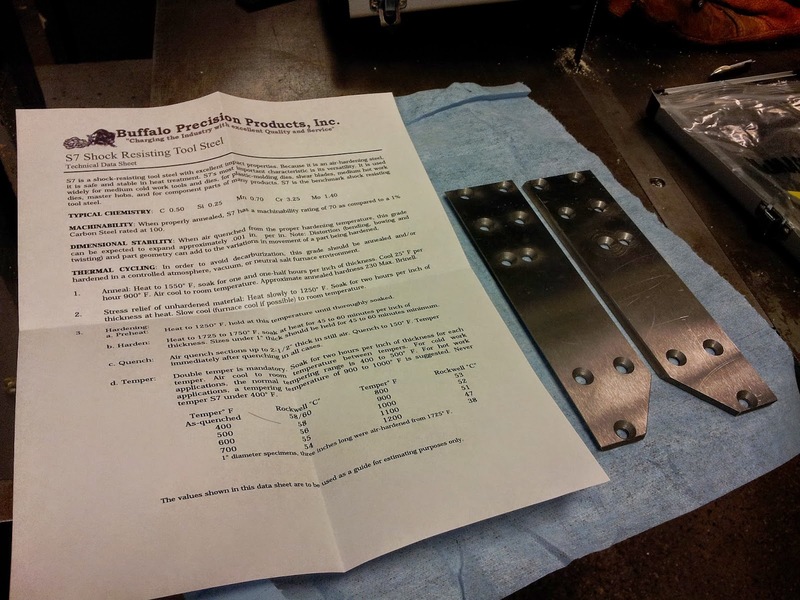 In another post, I will summarize the efforts to prepare Attrition for Motorama this year which includes professionally made drums and extensive drive modifications. Video of all Attrition's matches can be found as a playlist on my Youtube. I have placed the direct link below.